Are you looking for a stag party for an adventurous friend? Searching for hen weekends that turn stereotypes on their head? Then Rock and Rapid is the place to be. We offer unforgettable stag and hen party packages with a difference, full of exciting activities in the North Devon countryside. If you want to give your friend a party weekend that they will never forget, but will a good dose of thrilling experiences to share, too, then our hen and stag dos are the perfect choice. From coasteering to climbing, kayaking to raft building, you can spend the day or weekend on an adrenaline-fuelled expedition, full of laughs and memorable moments. 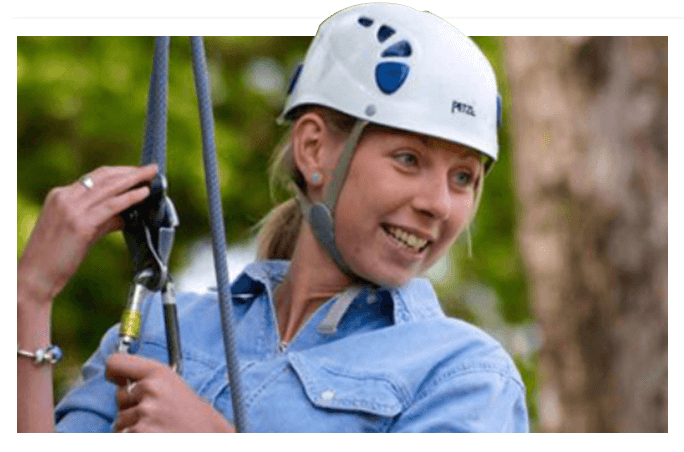 When it comes to alternative hen do ideas, a day with the girls reaching great heights rock climbing is the perfect choice for your boss-lady bride. Alternatively, if you’re looking for some unique stag do challenges as part of a whirlwing weekend, coasteering will test your stag’s bottle as you battle it out climbing along sea rocks and jumping fearlessly into the sea. Our hen weekends and stag activities are custom-made to suit your group – whatever you are looking for, let us know and we can help you plan a celebration to remember. Each enquiry will be quoted individually at competitive rates. For groups of ten people or more, the stag or hen even goes free! Why not make a weekend of it? Take your stag party or hen party to the next level by spending the night celebrating in our Alpine-style bunkhouse accommodation in North Devon. Our on-site self-catering bunkhouse provides accommodation for up to 36 people, with plenty of space for festivities. This is the perfect place to stay if you plan on spending the whole weekend sharing great activities and good times. For more information about stag and hen dos at Rock and Rapid Adventures, just contact us today on 01769 309 002.